The Atkins diet is very popular, but is it right for you? Before you start down the low carb road, you should take some time to decide whether low carb is the right way for you to lose weight. Just because it has been effective for others doesn’t mean it will be right for you. No specific diet works for everyone, and you may even find that a type of low carb diet that works better for you than another. There are many things to consider before you start the Atkins diet. First, evaluate your past dieting history. If you’ve been trying to lose weight for a long period of time, you’ve no doubt tried a wide variety of diets. Take note of the different diets you’ve tried over the years. Write down the basics of each diet, what worked and what didn’t. Also, write down why you didn’t stay on the particular diet. Evaluate your experience with high carbohydrate diets. These types of diets include most low-fat and calorie controlled diets. How did you feel while on these types of diets? Were you hungry, obsessed with food or experiencing negative reactions? Or did you feel full of energy and generally good? If you’ve had experience with low carb diets, write that down as well. Past the negative effects of the first week, how did eating low carb make you feel? Why did you stop using the low carb diet? The answers to these questions will help you decide whether Atkins is right for you or not. If you’ve had good experiences with low-fat diets and bad experiences with other low carb diets, then Atkins is probably not for you. If other low-carb diets have worked but not without difficulty, then you may have been on the wrong type of low-carb diet and Atkins might work better. If you’ve had bad experiences with both types of diets, then you may have better success with a modified Atkins diet. Your food and eating behaviors can also give you a clue to whether or not Atkins is a good choice for your weight loss efforts. Carb sensitivities are indicated by a certain set of behaviors. You may be carb sensitive if you feel like eating right after you’ve finished a meal. You will also feel strong urges to eat throughout the day. You may feel dizzy, fuzzyheaded and fatigued without getting a boost from sugar or another carbohydrate. Carb sensitivity is also shown when you feel sluggish after eating. This occurs especially after you eat a meal rich in sugars and carbohydrates. If you experience these symptoms frequently, you may have carb sensitivities. Try paying close attention to how carbohydrates affect you and if you continue to experience these symptoms, try doing a low carb diet. 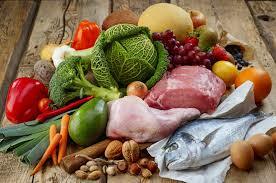 Your success on the Atkins diet can also be determined by your medical and family history. If you have any pre-diabetic symptoms, or diabetes itself, a reduced carb diet like Atkins may be right for you. Significant weight gain can also be helped by the Atkins diet. Normally, the more overweight you are, the more likely you are to have high blood pressure, high triglycerides and high blood glucose. If any member of your family has diabetes or is significantly overweight, this can also put you at risk for these conditions. Your tendency toward these conditions on a genetic level can mark a necessity for a low carbohydrate diet like Atkins. The Atkins plan has been shown to improve weight and control blood sugar issues. If these are problems in your family history, then you may want to consider the Atkins diet. There are a lot of good reasons to try the Atkins diet. Whether you have responded well to other low carb diets in the past or you have a medical history that warrants a controlled carbohydrate diet, the Atkins diet can meet your needs. 0 Response to "Is Atkins right for you "